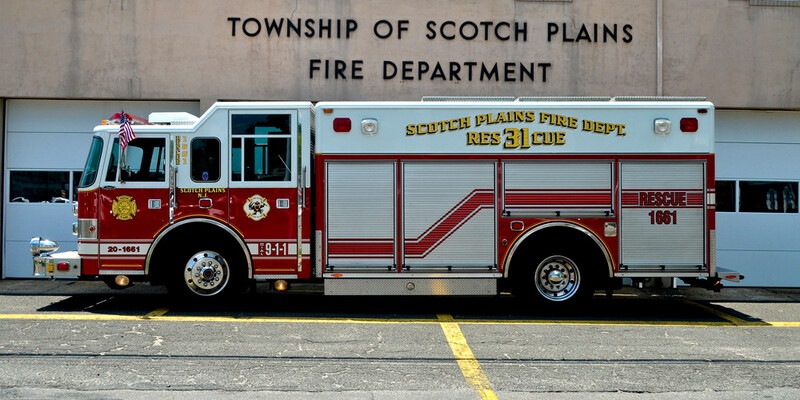 The Scotch Plains Fire Department operates from two stations, Station #161 (Senger Place) and Station #162 (Raritan Road) . 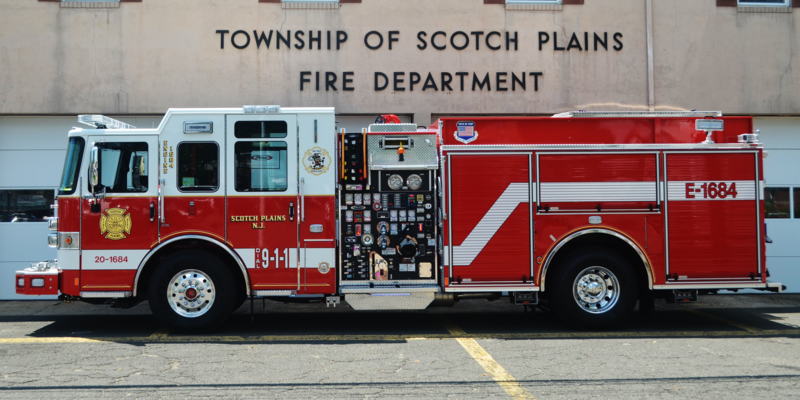 Fire stations and apparatus are numbered according to the identification plan developed by Union County Mutual Aid and approved by the New Jersey Division of Fire Safety. The department also includes the ranks of Deputy Chief, Battalion Chief and Captain. The Deputy Chief commands the entire department in the absence of the chief. 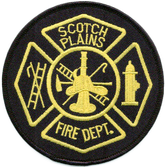 The Battalion Chief is responsible for the operation of the Fire Station. The Captain is responsible for the individual pieces of apparatus. All ranks have responsibilities as detailed in the National Incident Management System. 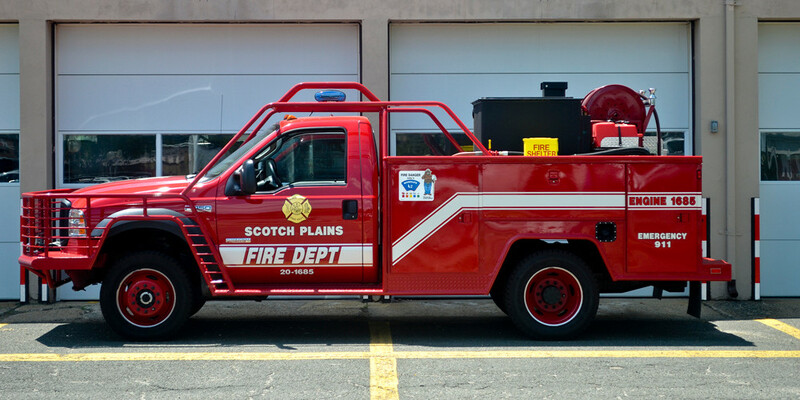 Each station has an Engine Company, which is the primary firefighting apparatus. It carries hose and water. Each station also has one piece of specialized apparatus. Station #161 operates the Rescue Company which carries rescue tools such as the "Jaws-of-Life" and has a breathing air filling station so air bottles can be filled at the fire scene. 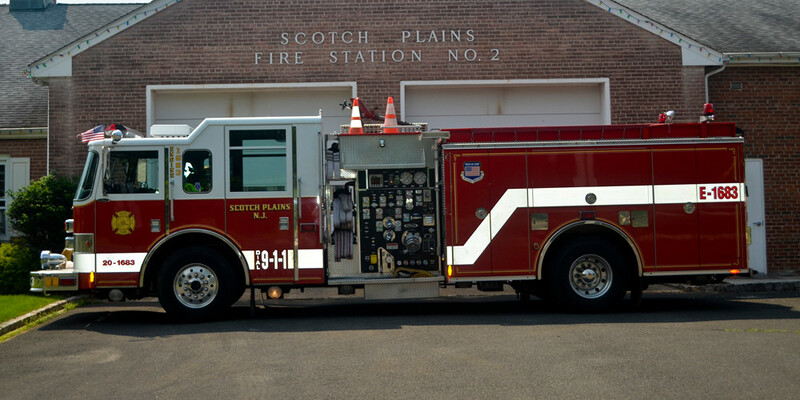 Station #161 also operates a Type 6 Wildland Engine. 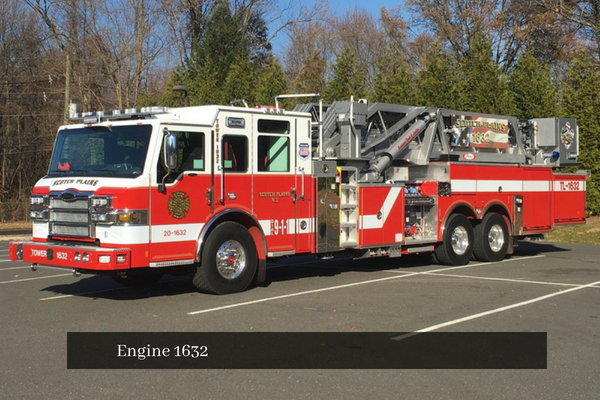 Station #162 operates the Tower Ladder, which is an elevating platform that reaches a height of 75 feet. The Department has a written Mutual Aid agreement with the 20 other municipalities in Union County. Manpower and equipment are freely shared between the towns during emergencies at no cost to the receiving town. In addition, the Department must respond to contiguous towns in other counties in response to any request for assistance. All 911 calls are received by Union County Dispatch who dispatches the appropriate equipment according to Standard Operating Procedures. 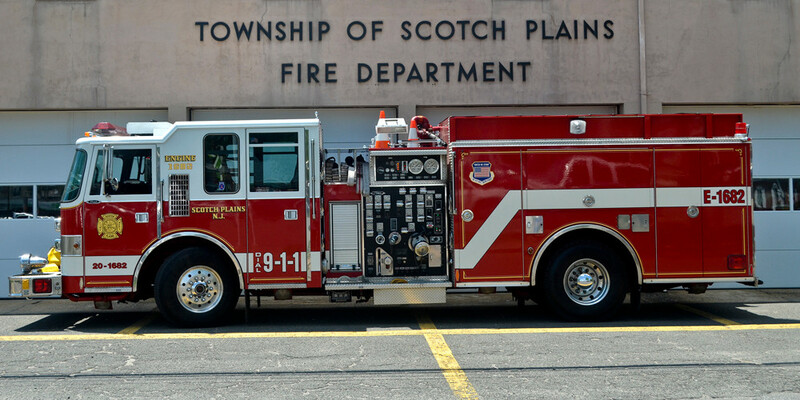 This Bureau is responsible for enforcing the requirements of the New Jersey Uniform Fire Code within the Township of Scotch Plains. Other duties include fire lane violations, handling of daily complaints, court appearances, and year round public education programs. The Bureau is headed by the Fire Official and also employs two part-time fire inspectors. All of our inspectors are licensed by the State of New Jersey. These licenses require mandatory state certified refresher training on an annual basis. This Bureau has developed and implemented a plan that is based on educating owners and tenants as to the violations existing at their properties while cooperatively attempting to achieve compliance. This plan has allowed our inspectors to complete their duties while adapting to the diversified needs of our residents and property owners. As a service to our Senior Citizens, the Fire Department will replace the standard batteries in their smoke detectors and carbon monoxide detectors at no charge. The Fire Department will provide the batteries at no cost. In addition, any Senior Citizen that purchases a new smoke detector or carbon monoxide detector, the Fire Department will install it in the proper location. Please call the Fire Prevention Bureau at (908) 322-6700 extension 501 and leave a message for either service. An inspector will arrange a mutually convenient time for service. 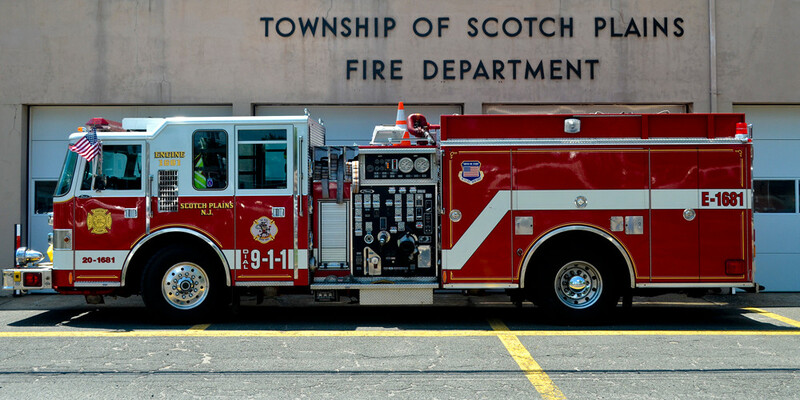 The Fire Department, in conjunction with the New Jersey Division of Fire Safety has received a limited supply of smoke detectors for distribution to low income residents of one and two family homes. Please call the Fire Prevention Bureau at 908-322-6700 extension 501 and the proper paperwork will be forwarded to you. Completion of the paperwork is being required by the Division of Fire Safety to ensure eligibility. The Fire Department will install the detector. Only one detector is available per household. I am selling my home, how can I obtain smoke detector certification? Simple, Homeowners or their agents can pickup an application form in the Building Department. 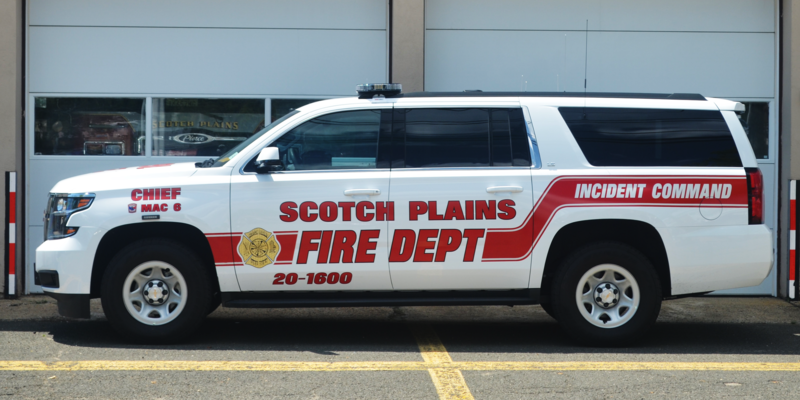 The Building Department will coordinate the scheduling of inspections with the Fire prevention Bureau. Inspections are generally conducted on Mondays between 10 AM and 12 PM for a fee of $50.00. When is the best time to contact someone at the Bureau office? Our Inspectors are in the field most of the time. However, telephone voice mail may be left at any time to contact the Bureau. I have an older type fire extinguisher, how can I determine if it still works? Most fire extinguishers have a pressure gauge at the top or near the handle. A check of the gauge is a good place to start. If the pressure gauge reads below the proper pressure, it will need to be recharged or replaced. For CO2 (Carbon Dioxide), the extinguisher needs to be checked by weight. Right below the charging handle the cylinder weight is marked with the weight empty and full. The CO2 extinguisher must be within 10% of the full weight to be considered satisfactory. Do I need to place smoke detectors in my home? Carbon Monoxide Detectors, are they worth buying? Do I need a Fire Safety Permit? If you are not sure, call our office. A fire safety permit list is available in the Bureau’s office. All homes and businesses are required to have proper address numbering (street) placed on the structure. From an emergency response perspective, they are critical to rapidly identifying your property during times of emergency. Placing your address number so that it can be seen from the roadway is extremely helpful. Numbers should be contrasting in color to the background. Numerals must be a minimum of 4 inches in height. Reflective type numbering is recommended. Numbering may not be script. From an emergency service standpoint, our job is to provide rapid, efficient and effective service. As part of that service, we may on some occasions be asked to respond to your home or business. During emergencies, very valuable time can be lost if we cannot find the proper address. Address numbers not posted can lead to very tragic results. We ask that all homeowners, tenants, business owners to clearly post their proper address number. Ensure that they are large enough to be viewed from the roadway. Ensure that they are contrasting in color and if you have a home or business away from the roadway, place an additional sign at the roadway edge. They should be posted on Both Sides of your mailbox, even if you live on a dead end street. Numerals may not be placed on the mailbox post or on any door of the dwelling. Help us to Help You. The New Jersey Uniform Fire Code identifies propane gas grills as a serious hazard when they are placed on apartment balconies. This specific rule only applies to gas grills. Regular charcoal grill are not affected by this rule. Specifically, gas grills shall not be used under building overhangs, under cover of any building and not within five feet of the building. The rule does not prohibit the use, only the area of use. Tenants should check their lease to determine if charcoal grills are prohibited. hot water heaters which operate by burning liquefied petroleum gas (LPG), or wood. Other sources of CO include blocked chimney flues, cooking appliances used for heating purposes, vehicle exhaust, and charcoal grills used in the home, camper, garage or other unventilated areas. When appliances malfunction or are inadequately ventilated, the amount of CO in the air can rise to a level that causes injury or death. Symptoms of CO poisoning are similar to those of the flu and can include dizziness, fatigue, headache and nausea. Since CO is colorless and odorless, most individuals never realize that they are being poisoned. The Consumer Product Safety Commission (CPSC) points out that the first line of defense against carbon monoxide is to make sure that all appliances are properly installed and ventilated. This means that appliances and home heating systems (including chimneys and flues) should be inspected each year by a qualified inspector. Recently, Underwriters Laboratories (UL) developed new construction and test standards (Standard 2034) for CO detectors. You should purchase models that meet these new requirements. The new detectors should include a test/reset button; it should have the words "carbon monoxide" stamped/labeled on the case, which insures they are not mistaken as smoke detectors; and they are less sensitive to prevent false alarms from occurring. This is your second line of defense. When properly installed and maintained these detectors can provide an early warning before carbon monoxide can build to a dangerous level. Although these devices look similar to existing smoke detectors, they are by no means a substitute. Therefore, residents should not replace one device with the other. To learn more about these lifesaving devices, contact the Bureau of Fire Prevention at 908-322-6700, ext. 501.